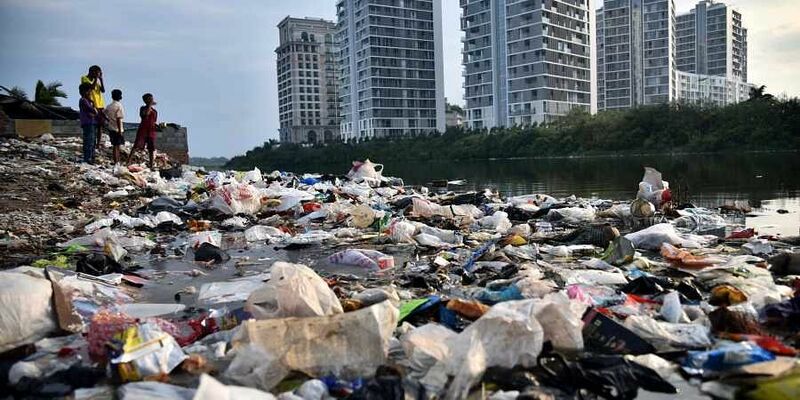 The city has become a trendsetter in waste management while other Indian cities are struggling with issues of exhausted landfills, unkept dumpyards and foul smell. SURAT: In a move to protect the environment and manage the garbage, Surat has installed 43 underground garbage bins, each of which can hold up to 1.5 tonnes of waste. The garbage bins are equipped with sensors fitted inside them to alert the control room as soon as 70% of the container is full. Having a capacity of up to 1.5 tonnes of waste each, the bins have been set up as part of the Smart City Mission. These garbage bins have been installed on footpaths. Each of them has two openings or inlets. While one opening is for individuals to throw waste, the other is for the municipal carts to collect waste. These huge metal bins are lifted with cranes and emptied mechanically without any direct human involvement. Surat has also emerged as the fourth cleanest city in India as per the Swachh Survekshan in 2017.